Now that Thanksgiving festivities have come to an end, it’s time for another Customer Spotlight! Hosted in the Iterable Community and excerpted here on our blog, our Customer Spotlight series focuses on the creative geniuses who work tirelessly behind the scenes to build great campaigns. In each Customer Spotlight, we ask a marketer questions about getting started in their career and what makes them tick. We’ll also throw in some fun questions unrelated to marketing to learn what our customers like to do when they’re not using Iterable! Have questions for our marketing gurus? Send them to us at blog@iterable.com, and we might feature them in an upcoming Customer Spotlight! 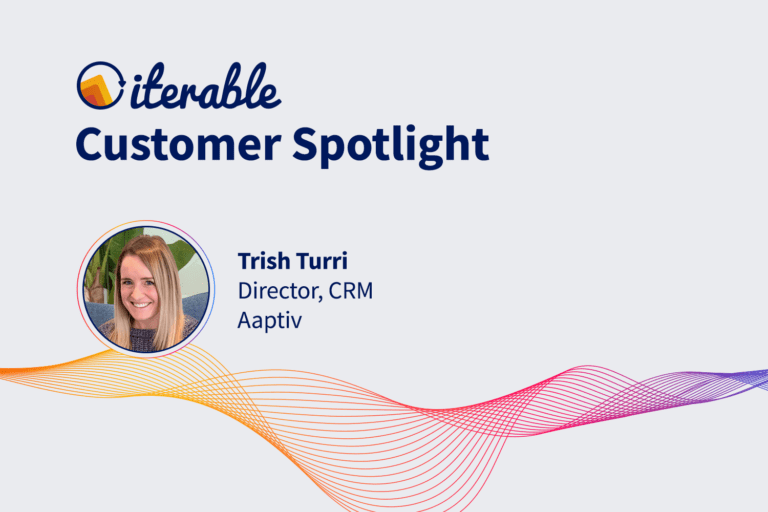 For November’s Customer Spotlight, we’re excited to introduce you to Trish Turri, Director, CRM, at Aaptiv. With over 200,000 members, Aaptiv is the top audio-based fitness app on the Apple App Store, and the fastest-growing mobile fitness product on the market. Trish began her digital marketing career in 2006. 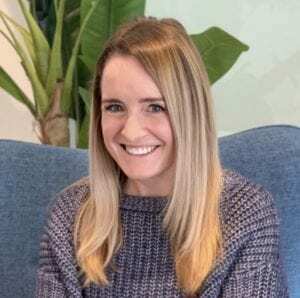 Currently, she oversees the CRM strategy for Aaptiv and has previously worked for Showtime Networks in a number of digital marketing roles and built out the Showtime CRM program. Trish is an experienced CRM professional with a demonstrated history of leveraging customer data, analytics, and strategic segmentation to drive acquisition, retention, as well as win back lapsed customers. She is proficient in Salesforce Marketing Cloud and has a B.A. in Communications with a focus in Marketing. Keep reading to hear what Trish loves about her role, her advice for new Iterable users, and more! I always had an interest in marketing and communications and had a few marketing internships early in my career. Over the past 12+ years, I have worked in a variety of digital marketing roles, from concepting and managing digital content extensions for various television series, to overseeing branded partnerships and most recently building out CRM programs at Aaptiv. I love getting to build out complex workflows for each stage of the customer lifecycle at Aaptiv. 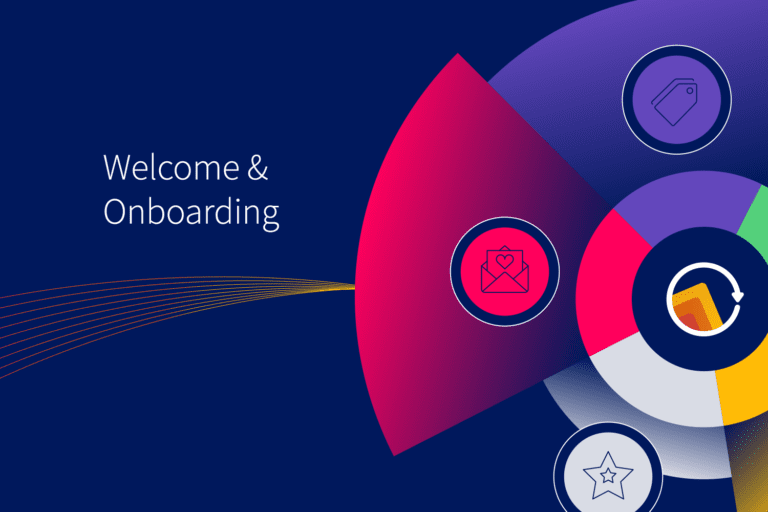 The most fun part for me is leveraging our user behavioral data and segmentation to provide workout recommendations to help users make the most of their membership and reach their fitness goals. What is one piece of advice that you would give a new Iterable user? Take advantage of the support live chat! They are so helpful and responsive and can assist you in navigating the new platform and taking advantage of all of its perks. What do you like most about using Iterable? The tool is incredibly user-friendly and intuitive. It makes building out complex workflows seem straightforward and manageable. Besides Iterable, what are the other tools in your marketing toolkit? I have extensive experience using the Salesforce Marketing Cloud tools in past roles, as well as working with partners like Moveable Ink and Liveclicker to add interactive features within emails, such as live polls, countdown timers, and dynamic content within animated GIFs. What are you currently reading, or what is your favorite book? I just started reading Nine Perfect Strangers by Liane Moriarty, the author of Big Little Lies. So far I can’t put it down! I also love any books by Elin Hilderbrand, she has the best beach reads. If you could have any animal as a pet in the world, what would it be and why? This isn’t very exotic, but I really want a mini-Goldendoodle puppy. If you also use Iterable, then you can gain exclusive access to our thought leaders and all our special content by joining the Iterable Community. There you can read the full transcripts of our interviews with Trish Turri and other marketers from top brands like Zapier, Avery, and Stack Overflow. Our community is the place to be to learn growth marketing tips and tricks from the best in the biz! 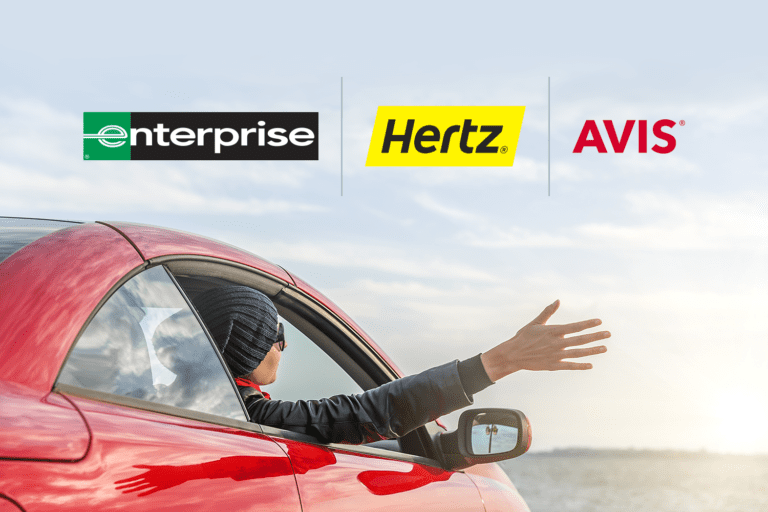 Top Car Rental Companies: Who Drives the Most Engagement?